One of Iran's most powerful parliamentarians has demanded the Egyptian government silence any pro-Ahwazi sentiment in Egypt, following a ground-breaking conference in Cairo that criticised Iran's treatment of ethnic Arabs in Al-Ahwaz. 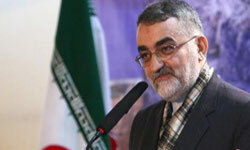 Alaeddin Boroujerdi, the chairman of the Iranian parliament's National Security and Foreign Policy Commission, accused the governments of Qatar and Saudi Arabia of sponsoring an "extremist" conference to damage Iran-Egypt relations. Apparently unaware that Egypt has overthrown its dictator and is now a civilian-led democracy, Boroujerdi demanded the Egyptian government to condemn and ban all pro-Ahwazi activism in Egypt, which he claimed was "unacceptable and unjustifiable." Others in the Iranian establishment have called for a cancellation of a meeting between Egypt's President Muhamad Morsi and President Mahmoud Ahmadinejad over the staging of the conference, which was held at the Al-Azhar University and addressed by leading political and religious figures from Egypt and elsewhere. Since the Arab Spring movement began, the Ahwazi Arab issue has gained prominence with support and solidarity advanced by freedom supporters from across the region. 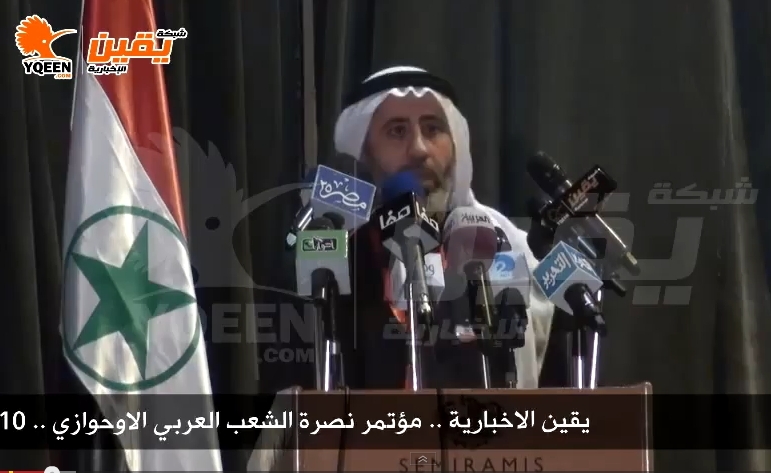 The Ahwazi movement has gained the support of the Syrian Muslim Brotherhood, the sister organisation of Egypt's ruling party and a major component in the Syrian opposition. The Free Syria Army has also created an Al-Ahwaz Battalion in solidarity with the Ahwazi intifada.